This is the 6th in a series of reprints of Behind the Scenes articles. If you haven't looked at the others, it's well worth your time. All are professionals with over 20 years in the industry who share their journey and offer a window into how the industry has changed. This article on Mendoza from January 2011 is by a truly talented writer who was also a great source of support for me. I hope will she continue to put pen to paper. why I am passionately committed to custom-work." 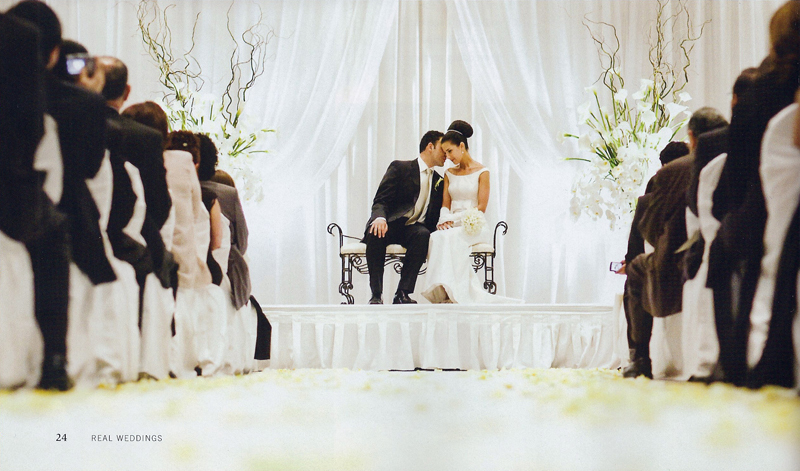 ManuelMendoza is a Vancouver tailor, couturier and, most recently, a bridal designer. His store at 692 Seymour Street attracts clients who value quality, the perfect fit and unique touches. For over thirty-five years, a key to Mendoza's success has been his innate ability to understand a client's vision. Not only is he a creative director, but also an excellent businessman. Both facets are equally important to surviving in this competitive industry. He not only survives but thrives on the challenge, keeping one step ahead of the game. Growing up in Manila, Mendoza's early encounters with fashion took place at a time when Manila was on a par economically with most other major cities in Asia (Tokyo aside). Fashion was part of the daily culture. Quality fabrics from around the world were readily available to dressmakers, tailors and couturiers. He claims that with all this at one's fingertips, it was easy to be creative. During his college years Mendoza's clothes were made by a local tailor. The clothes were basic and functional in design, but he believed he could do better. By day he would go to college and learn about finance and architecture, by night he would learn to sew. Realizing his passion, he entered fashion school, but found it was not a great match. "I found fashion schools too slow. Everyone had to wait for the slowest student. Six months into the course, I spoke with some of my instructors about whether they would consider working for an 18-year-old who wanted to set up a beautiful shop. They agreed, and that was my fashion education. Everything else has been experience, intuition, talent and, above all, common sense." Mendoza came to Canada in 1976 and landed a job as sportswear designer at Jantzen Inc. (manufacturers of swimwear and active sportswear). Here he could make a living while getting the `feel' of the Vancouver fashion scene. He goes on to say, "It is absolutely imperative to consider the kind of fashion that will work for Vancouverites. This is not New York, Paris, London, or Milan...We must be prepared to suit the local lifestyle, climate, and leisure activities if we as designers are to stay in business. A `sporty chic' look probably best sums up what is desired here for most occasions." Three years of working for Janzten and Mendoza felt ready to leave and start his own business. He has not looked back. While his clientele is broad-based, Mendoza is perhaps best known more recently for bridal fashion. It was not a market he initially looked at, but stumbled into by chance and rose to the challenge. 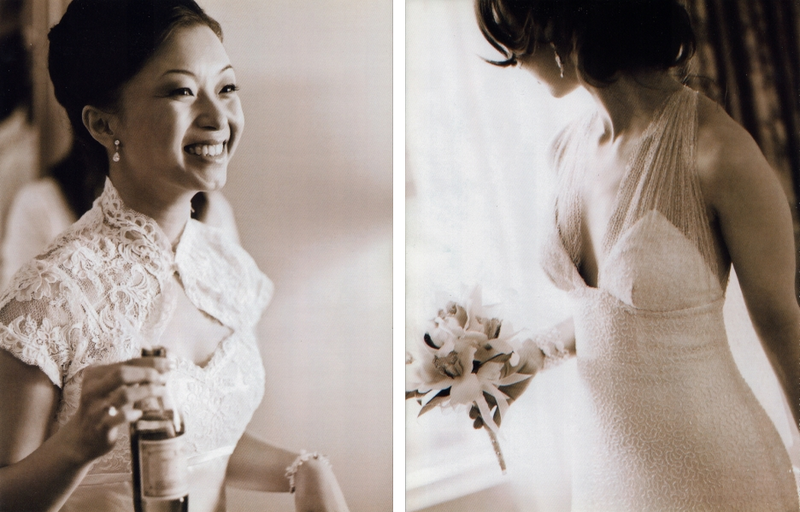 "A designer asked me to make her a bridal outfit that she couldn't do herself because it was so difficult. It turned out to be easy for me." Mendoza has an almost uncanny intuition when it comes to design and adds, "To tell the truth, there is probably nothing you could ask me to do that I could not come up with, given the budget." To be successful, a designer needs to find a balance between his vision and what the clients want. Mendoza claims his bridal clients can be categorized into four types: "The Follower - wants a dress worn by celebrities or friends; The Individualist - wants an original dress, knows exactly the look she wants, no compromises; The Wealthier-than-Smart - wants to spend a bundle for a well-advertized label; and the Insecure Perfectionist - is ever in a panic about her decisions and keeps wanting to change the design." 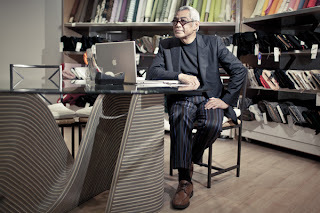 He plans to continue for "...as long as I can still find challenges in fashion as adapted locally. I shall want to meet them until I literally cannot see anymore." In Mendoza's spare time he enjoys sustainable gardening, landscaping and developing eco-friendly urban dwellings. "In everything there is the potential to improve and enhance through design. That goes for both the human body and the space it occupies." His advice to up-and-coming Vancouver designers? Distinguish between growing a viable business over the long haul and trying to achieve celebrity status as the `in designer of the moment'. Mendoza's success can be attributed to his patience, hard work, instinctive creativity and business savvy. "To develop a business requires patience to evolve step-by-step, gaining vast experience with people's bodies and psychology, clothing-construction techniques, personnel, business management and cost-effective advertising. Getting into the limelight, working with social media, putting on fashion shows, etc., does not necessarily lead to a viable sustainable business!! More often than not, I have observed, it goes nowhere without the evolution I just described. Above all, keep growing and expanding your range as a designer - a one-trick pony has a short life span in our fast-track world." Words of wisdom from a man of long tenure. To view Manuel Mendoza's stunning work, log onto www.manuelmendoza.com or visit his store at B-2, 698 Seymour Street.